Pick up the babysitter or someone else supposed to watch after the kids while moving is in progress. Pack your last minute items like your bedding, linens, clothes, and toiletries. Disassemble the beds or wait for the movers to help you. Get your pets ready for the move. Put your wallet, purse, and documents in some place safe. Make sure you’re present for loading and unloading the truck. Check if the moving truck that shows up is from the company you hired. Compare the movers’ inventory with yours to ensure nothing has been left out. Take movers through the house and make sure they know which items are fragile or require special care. Once the house is empty, take a final look at all rooms before the moving truck leaves, ensuring that nothing has been left behind. Ensure the movers have your cell phone number, or a number where you may be reached if there are any problems. Check all moving paperwork before signing the bill of lading. Keep copies of the bill of lading and the inventory list with you in a safe place. Turn off lights, appliances, water and gas supply. At your new house, make sure nothing was left on the truck and check if there’s anything broken or missing. If so, notify the moving company immediately. Check to make sure appliances, furnace, hot water heater, and air conditioning unit in the new house is in good order. Notify your real estate agent if there’s any problem. 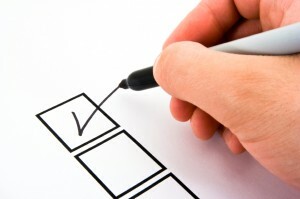 This entry was posted in Moving checklist on September 24, 2014 by Izzy Removals.